youth in Los Guido. We are so thankful to God for all the opportunities that has been given us to serve our Heavenly Father. 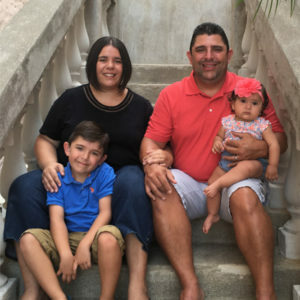 I was born into a Catholic family in Argentina and very active in the church. During my childhood, I received training for competitive tennis. At the age of 13, I met a missionary from a Christian organization called Word of Life and she invited me to their activities. She explained to me that God has a gift for me, and that the only thing that I have to do was to accept it. That gift was Jesus Christ. She explained to me what He did on the cross and at that very moment I accepted Him as my personal Savior. After I accepted Jesus as my Savior, my parents got a divorce. This was a very difficult time for me but God’s love comforted and guided me through this hard time. At the age of 14, I became involved in serving God at my local church. Upon finishing high school, I chose to attend seminary at Word of Life because I wanted to serve God as a missionary. After completing seminary, I moved to Costa Rica to become a missionary with Score International. I worked with Score for 4 years, and during that time I met and became friends with a man who would later become my husband. In 2008, I had the opportunity with Score to go to Dominican Republic to serve our Lord in that country. This was a wonderful experience! During my time in Dominican Republic, my pastor from Costa Rica called me regarding a male friend and fellow worker in the ministry, Salvador Barrantes to inquire if I had feelings towards him. I explained to him that I had been praying for Salvador for the last 2 years, but he did not seem to be interested. A few days later I received a call from Salvador telling me that he loved me and would like to marry me. We started praying for God’s will for our lives… On April 11, 2009 we got married in San Jose, Costa Rica. Today, we serve God together full time at our church in San Jose, Costa Rica. 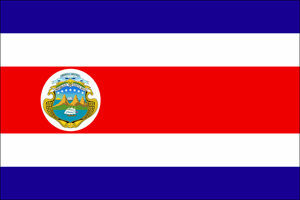 We are actively involved with Score International Costa Rica and the youth from Los Guido through our local church. I praise God for everything He’s done in my life through the years.